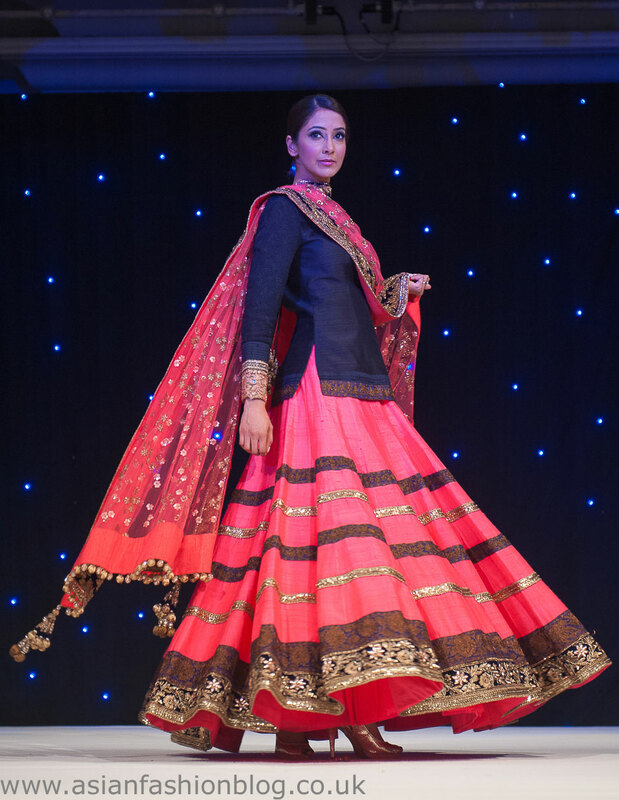 The Manish Malhotra charity fashion show in London took place last month and by all accounts it looked like an amazing event! 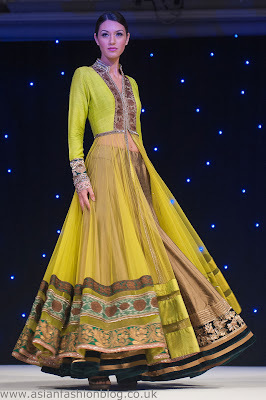 In addition to celebrity guests Urmila Matondkar and Parineeti Chopra, the fashion show itself featured more than 50 beautiful Manish Malhotra outfits. 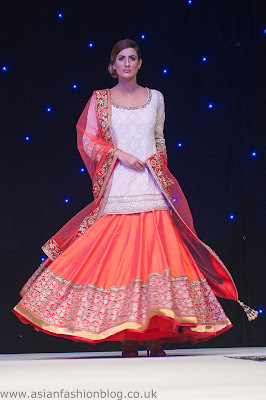 I really liked the peachy coral and white colour combinations. The outfit above appealed to me because the top is quite long in length - I could imagine it being worn with a shalwar or trousers. Some more longer tops here and again I love this colour combination. I need to get some hot pink and navy blue into my wardrobe! If you had to pick one of these outfits which would you choose? Nina from The Asian Fashion Journal attended the event, you can read her review here. Find out more about the charity supported by this event - The Angeli Foundation.